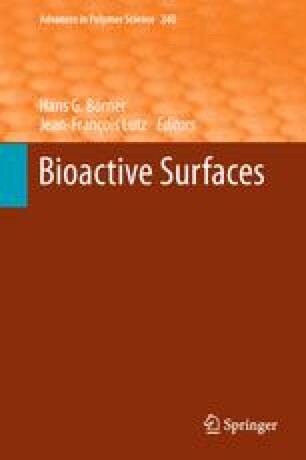 In this review, the general principles of antimicrobial surfaces will be discussed in detail. Because many common products that keep microbes off surfaces have been banned in the past decade, the search for alternatives is in full run. In recent research, numerous new ways to produce so-called self-sterilizing surfaces have been introduced. These technologies are discussed with respect to their mechanism, particularly focusing on the distinction between biocide-releasing and non-releasing contact-active systems. New developments in the catalytic formation of biocides and their advantages and limitations are also covered. The combination of several mechanisms in one surface modification has considerable benefits, and will be discussed.